Ahmednagar One of the Historical city in Maharashtra. Specially Known for its area called largest District in state of Maharashtra. Ahmednagar situated at center location from pune and aurangabad 120 km northeast of Pune and 120 km from Aurangabad takes 2 to 3hr by bus. Ahmednagar takes its name from Ahmed Nizam Shah, who founded the town in 1494 on the site of a more ancient city, Bhingar. femous tourist spot Ahmednagar District are Shirdi Sai Baba loacated 75 km from ahmednagar main bus stop, Chand bibi mahal located 10 to 15 km, Meher Baba Samadhi located 10 to 15 km calm and silent place , Agadgaon Temple of god KalBhairav femos for its special food served in prashad that is Amati Bhakari on Every Sunday ,Vishal Ganapati called GRAM Daivat of Ahmednagar city , Pawan ganapati is femos for iccha purti,Beleshwar, Bhurhanagar devi tempal , kedgaon devi temple, Bhingar tekadi, farha bagh, Miravali Baba Pahad, Shanishinganapur, Sonai Glass Temple,Dev gad, Mohata devi (Pathardi), Kanifnath Mandir Madhi (Pathardi),Vruddheshwar,dongargan, Kalsubai, Gorakshnath gad, Ahmednagar Fort, Mula dam 20 -23 km from ahmednagar. Ahmednagar Fort, once considered the second most impregnable fort in India, was used by the British to house Jawaharlal Nehru (the first prime minister of India) and other Indian Nationalists before Indian independence. During his confinement by the British at Ahmednagar Fort in 1944, Nehru wrote the famous book The Discovery of India. Ahmednagar is home to 19 sugar factories and is also the birthplace of the cooperative movement. Ahmednagar is a city of Ahmednagar District in the state of Maharashtra, India, on the west bank of the Sina river, about 120 km northeast of Pune and 120 km from Aurangabad. In Ahmednagar,Ahmednagar District Are you struggling hard to sustain in this competitive business world? Ahmednagar and Ahmedngar city One of the key factors to reach your customers in Ahmednagar is through promotion through Ahmednagar city website, there by increasing the visibility of your brand name, products and services there upon your revenue.Promotion can be done through news papers, television, radio, banners, hoardings, etc. Though they are effective, it is not a good choice for the start ups and small or middle level business as it is not affordable because of its cost .setup a website for small business is not relible thing then what is solution?. In this online era, anything and everything posted on the internet reaches the users full-size. As most of the consumers and customers uses internet to surf their requirements, it will be quite easy for the Ahmednagar customers to reach us, thus we need not go on hunting for the clients any more. Thus online business directories like Ahmednagarcity.in are the only cost-effective and easiest way to reach the Ahmednagar customers where in turn Ahmednagar customers can also find us for their requirements. 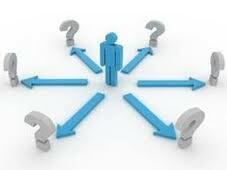 Generally an online business directory serves the needs of both the business concerns and the customers in need. Hence the concern can scale up the business to the next level. Ahmednagarcity.in works well for the business people at all planes specially for Ahmednagar people from start ups to the top concerns. Ahmednagarcity.in is the website which contains the complete details of the Ahmednagar shops, Ahmednagar company or an Ahmednagar organization,Ahmednagar jobs,Ahmednagar Property,Ahmednagar Hotels,Ahmednagar zp. It will be categorized based on the products, services and the region or location, making the user to sort out the needs easily. The local business search engine will bring your products and services in limelight thus effectively take it to the customers of the targeted region. Ahmednagarcity.in are keen in providing reliable information and bridging the gap between the consumers and the business concerns. London business searches can be found in the UK web directory or London business directory, thus this is called location based lead generation. Similarly, UK business details will be found in UK business directory. Ahmednagarcity.in provide various offers to the business professionals who need to promote their concern in the local directory(with in Ahmednagar). 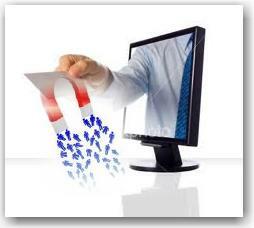 In certain business directory, they post the contact details of the local shops and concerns for free of cost. In order to post few more details about the concern various offers and announcements, they need to pay a little to the concerned local directory sites. Similarly, by paying few more they can post photos, videos, catalogues, menus and can track and manage the business listings. 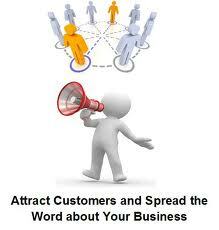 They avail very many affordable advertising solutions to generate leads. The expertise technical team regularly upgrades the details and improves the services for the user there upon assures sizable leads for the business concerns. Most of the business professionals are found satisfied with the response through Ahmednagarcity.in, thus feel effective medium for any business either big or small.